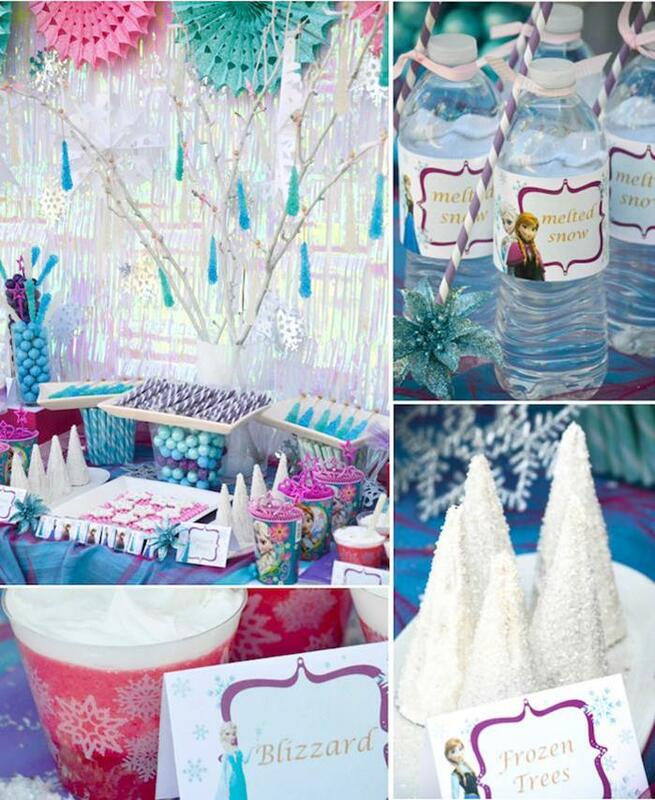 You can now throw a fabulous themed birthday party, irrespective of the time of the year the occasion falls, with the frozen theme. Frozen, necessarily, doesn’t mean everything needs to be served cold. It is also about the visual appeal of the entire environments. 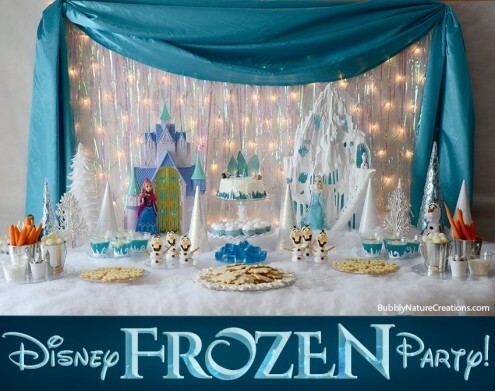 Be it the invitations, décor, costumes, or food, you now have access to some of the best frozen birthday party ideas with us. 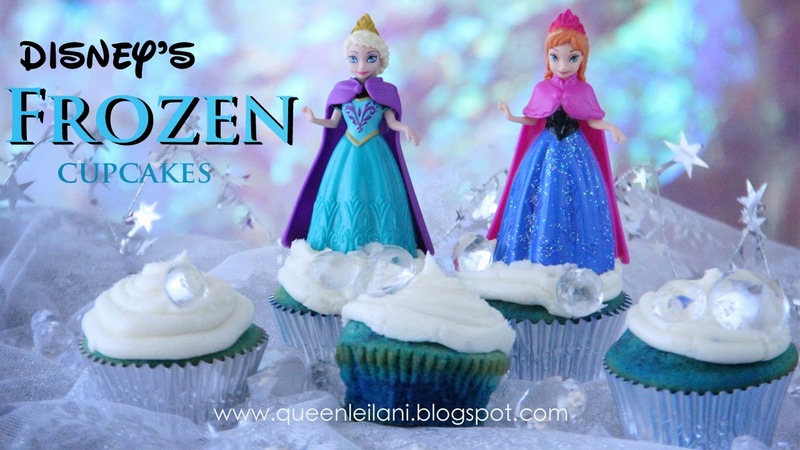 Catch up with some wonderful frozen party ideas to celebrate this special moment of life right here. Wow! 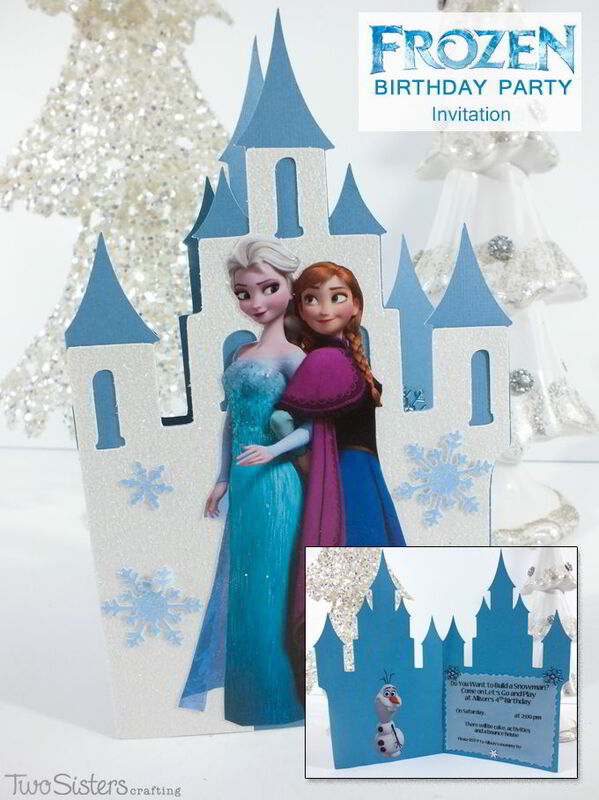 The perfect adornments for a princess party, it just adds beauty to the entire scenario. Just look at the way the lights are glittering there on the wall, adding more dazzle to the occasion. 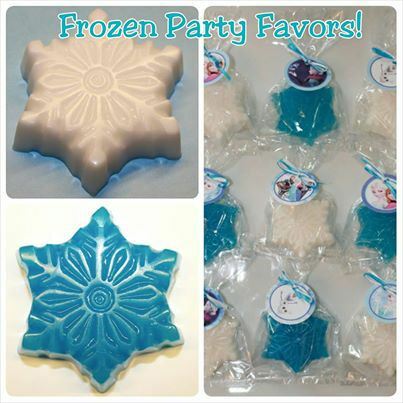 This is a cute idea and can double up as your frozen party giveaway. The star shaped soaps look more like frosted sugar cookies… Cool! 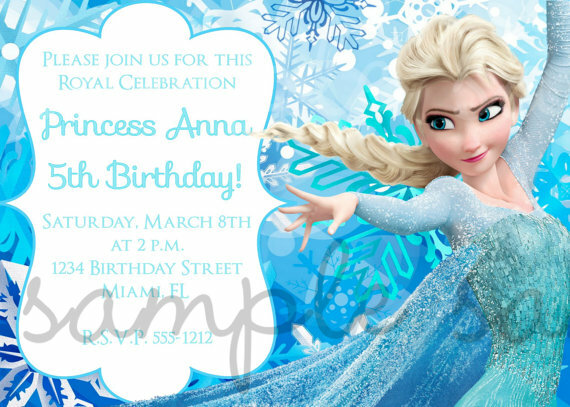 Let your near and dear ones have fun filled time at the birthday party of your princess. Just make sure that you collect enough of these printables, just in case you run out of a few or you tamper one or two by mistake. Snowman Olaf is the highlight of any frozen party. From decorations to costumes to snacks and cakes, they will be omnipresent. 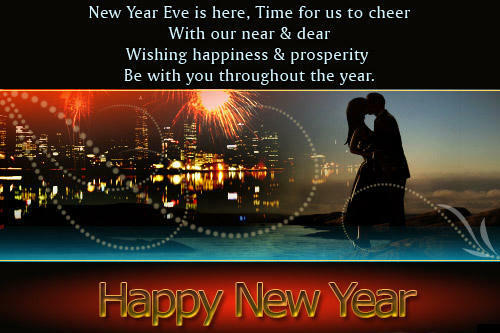 Include them in your invites also to ensure that you are emphasizing on the theme of the occasion. 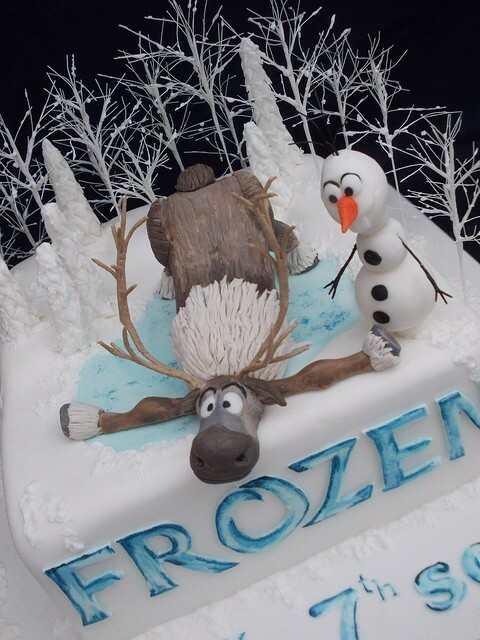 Boys too can have frozen themed birthdays. 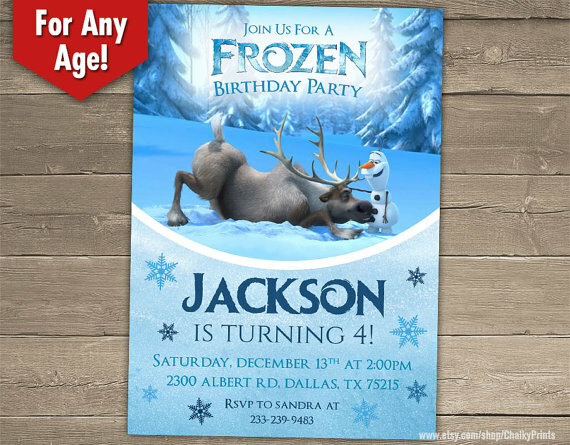 This party invitation is one that you can use for you young chap who is celebrating his special day. 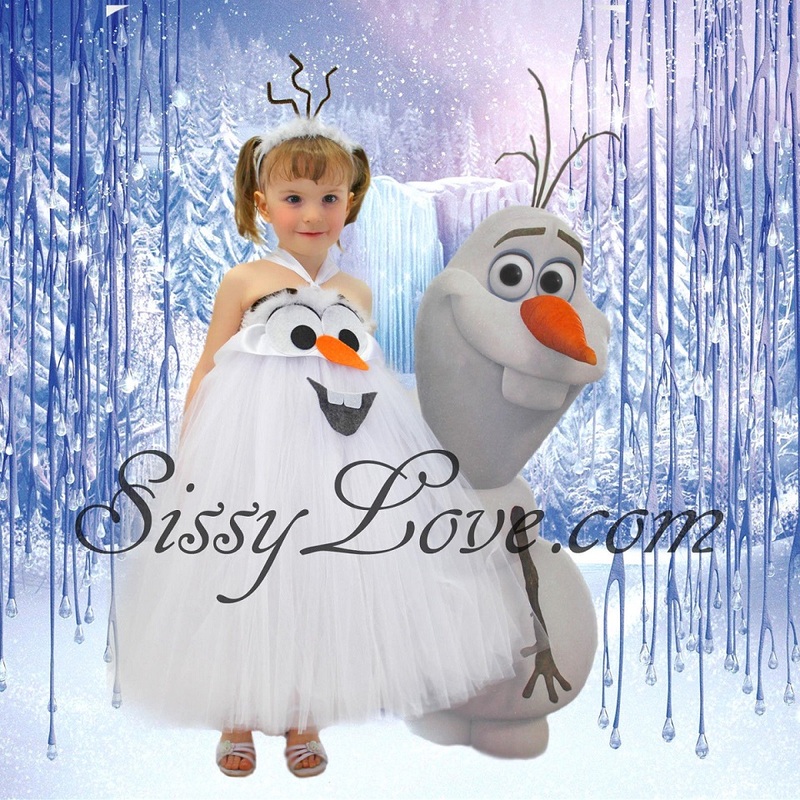 Olaf with reindeer – fabulous combo! 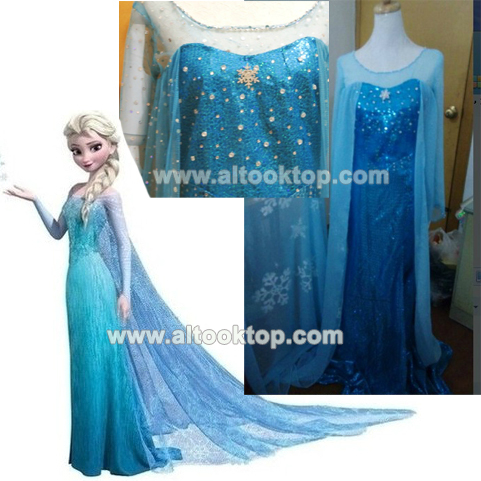 Your little girl will turn into a charming princess as soon as she steps into this Princess Frock from aliexpress.com. Pair it up with a teal or blue stone aligned tiara to give her that regal look. Olaf is here too. And, this one that I have picked up from ebay looks so cute. Made in white, this is definitely sure to make your princess look more beautiful. 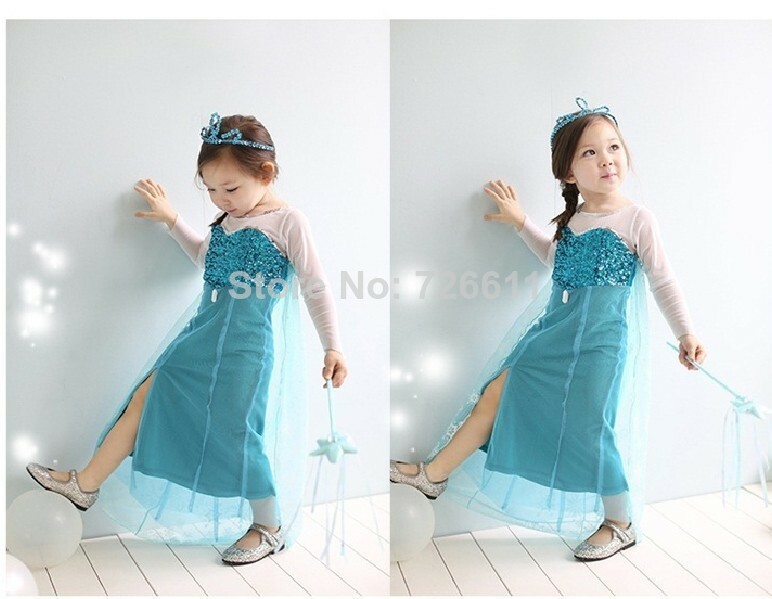 Transform your daughter into that fabulous princess character from her favorite fairy tales with this stunning Disney themed birthday dress. 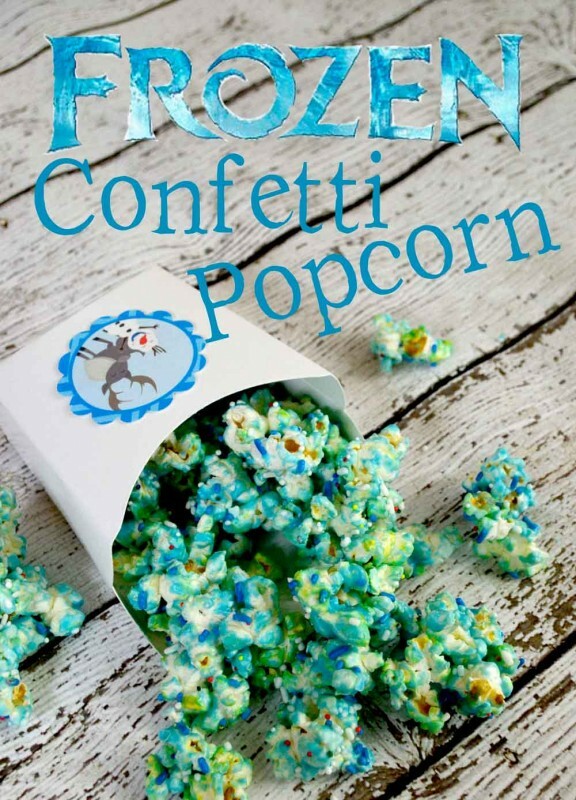 The classic snack gets a complete makeover with this confetti popcorn recipe from pinkcakeplate.com that ideally fits into your theme. 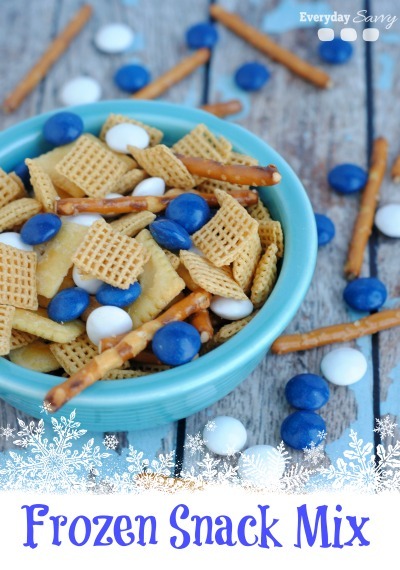 You can use the sprinkles you love, but the blue and white ones would be the perfect pick for this occasion. 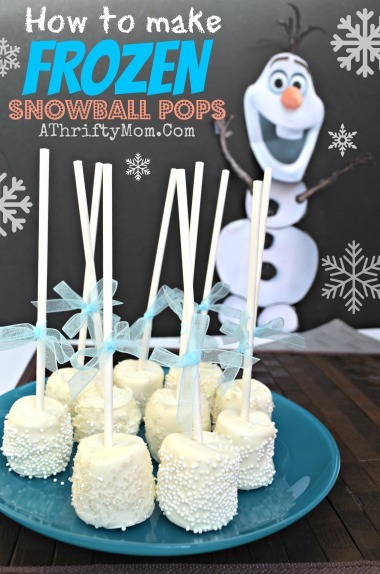 Marshmallows dipped in melted white chocolate and decorated with white sprinkles – that is what these snowball pops are all about. 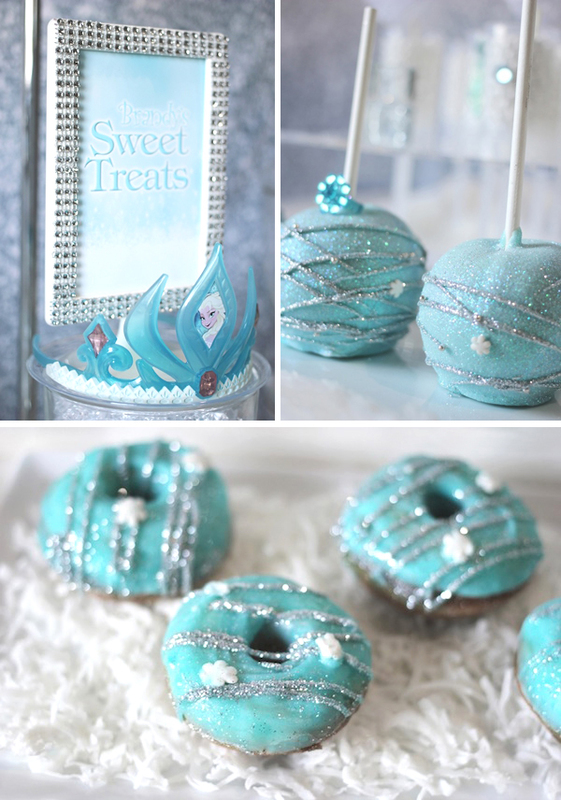 You can use a little blue sprinkles as well to zest up the visual appeal of these mouthwatering frozen party food. Give your classic sugar cookies a dashing transformation by frosting them with a teal hued icing. Use the simplest recipe available; the one you are comfortable with would be the best bet. Ensure that the cookies are thoroughly cooled before your start frosting those to avoid mishaps. Rice Krispie cereals and marshmallows – who don’t love these comfort foods? And, when you get them fused into a tasty delight, who would deny to relish them? 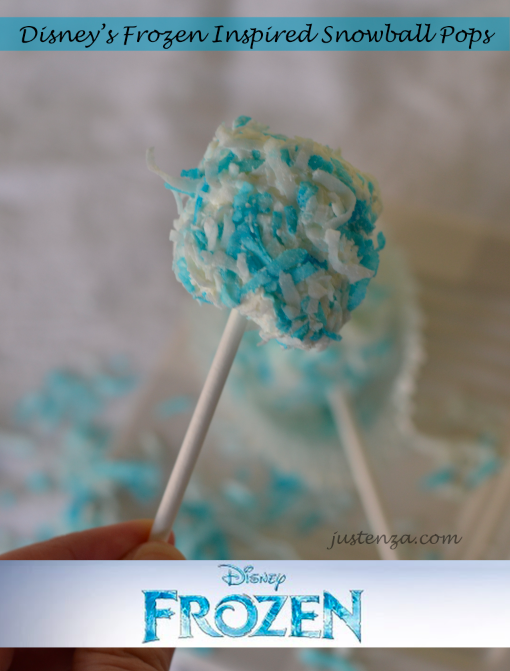 Try these fabulous, yet quite easy to put together frozen party treats. 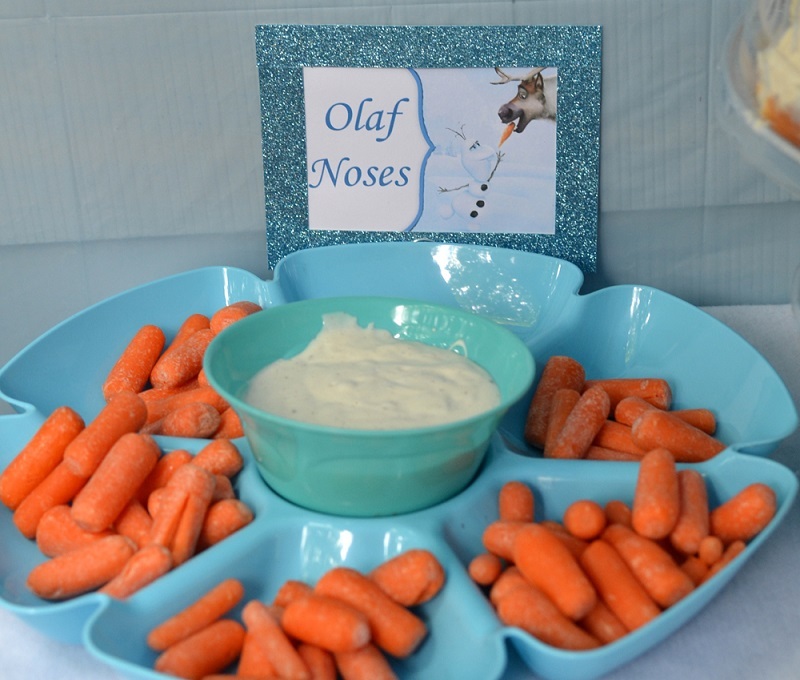 Carrots are not just good for your health; they make excellent party snacks too. Pick the most tender carrots, preferably the baby ones, glaze them with honey and freeze them. Serve them with a cold mayonnaise dip to zest up the occasion. Jell O is an all time party favorite. 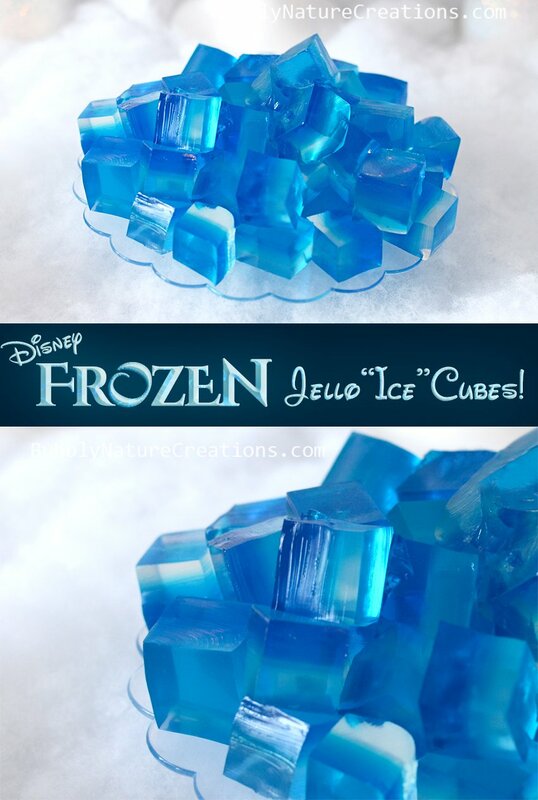 You can now mould them into ice cubes by transferring the mixture into your ice tray. Want to have more fun with Jell o? Try using ice trays where the cubes have cute shapes. You get countless variants in market and make sure you are using a blue or teal hue to remain faithful to the occasion and theme. Pretzels dipped in hot chocolate – wow! I just love them. So do the kids. 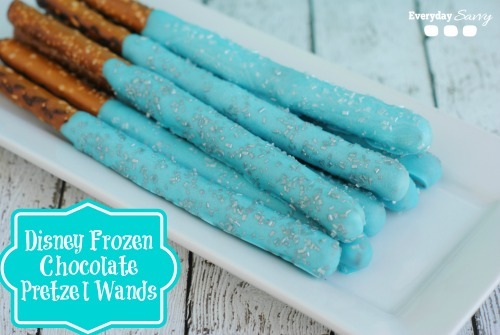 Make these fairy wands and dip them in hot chocolate. Arrange them on aluminum foils and allow to freeze before your serve them with additional chocolate dip. Your little guests are sure to pester you with demands for more and more. Any cupcake base will do. 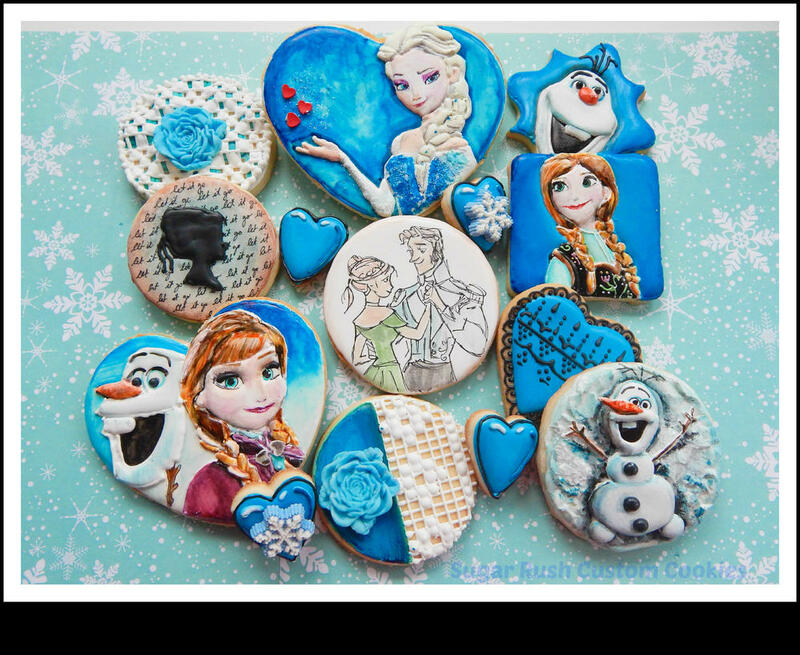 The idea is to make these delicacies in sync with our frozen theme. You can bake angel cupcakes and frost them with buttercream that has few drops of blue food color added to it. Alternatively stick to your favorite chocolate cupcake. Arrange them in white cupcake liner adorned with blue polka dots. 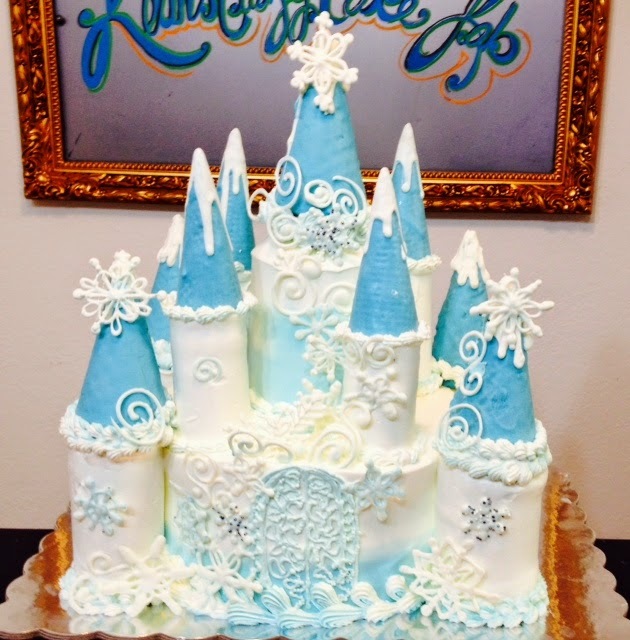 Frost with a blue hued buttercream or royal icing. Marshmallows, marshmallows, and marshmallows…. Nothing could replace these chewy, yummy bites. 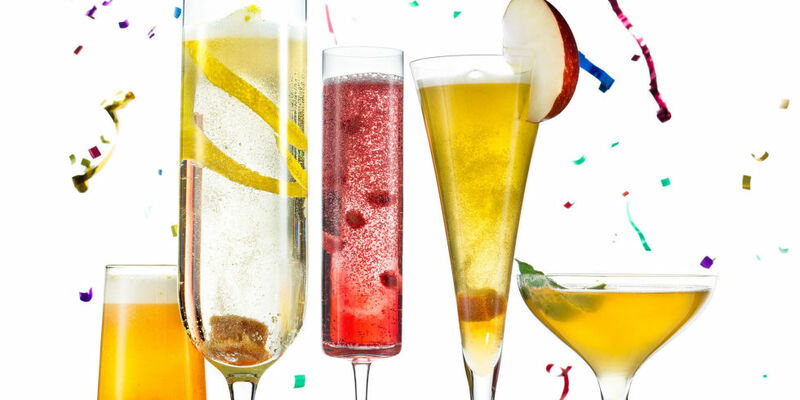 A glance at these pops fill your mouth with water! So just think about the taste… Lovely! You ought to try this. It is a sure hit among kids and adults alike. Warm donuts drizzled with caramel or chocolate syrup is delicious. And, what if the donuts are frozen? Will they taste good? Yes, of course. They will. Frost the donuts will generous amounts of buttercream and then allow the delight to freeze. Just take out 10 minute before serving so that the original softness of the golden delicacy is not lost due to freezing. 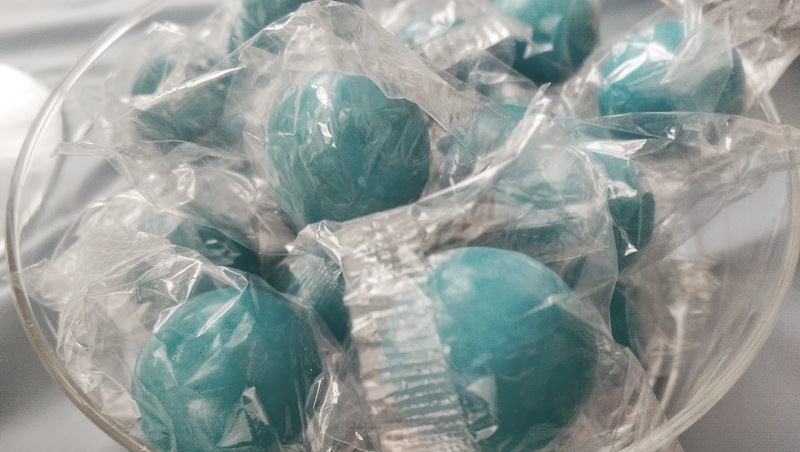 Freeze your favorite M & Ms, the blue ones. Dip them in a simple sugar solution and dust with a little sugar… Freeze again… Your pellets are ready. This would be my way. Just take at these gumballs that have been put across in ocmentor.com. The process is different but tastes fab. 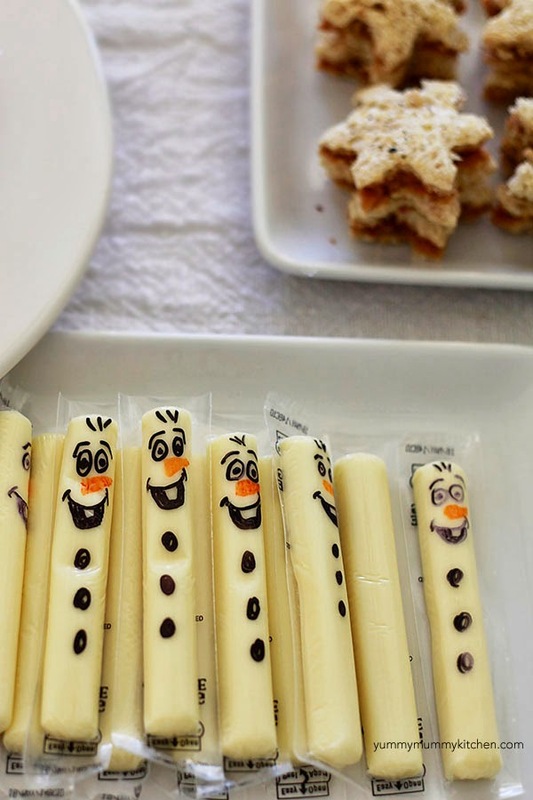 No wonder they have been included in the frozen party food ideas. 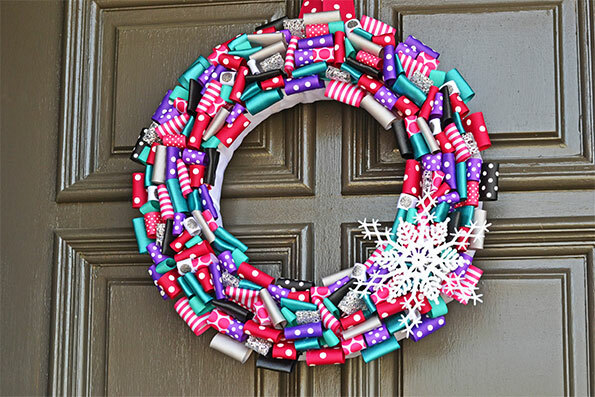 The author has used marshmallows. I would say make a coconut laddu and roll it coconut flakes, half of them colored with blue food coloring. It is simple and would be definitely a new way of treating your taste buds with a sweet. You need 2 cups desiccated coconut, ½ cup kept aside for rolling, and 1 cup condensed milk for this. Toast the desiccated coconut and mix in condensed milk to the roasted flakes. Keep mixing till you feel that the mixture starts turning into a ball. Allow to turn warm and shape into balls. 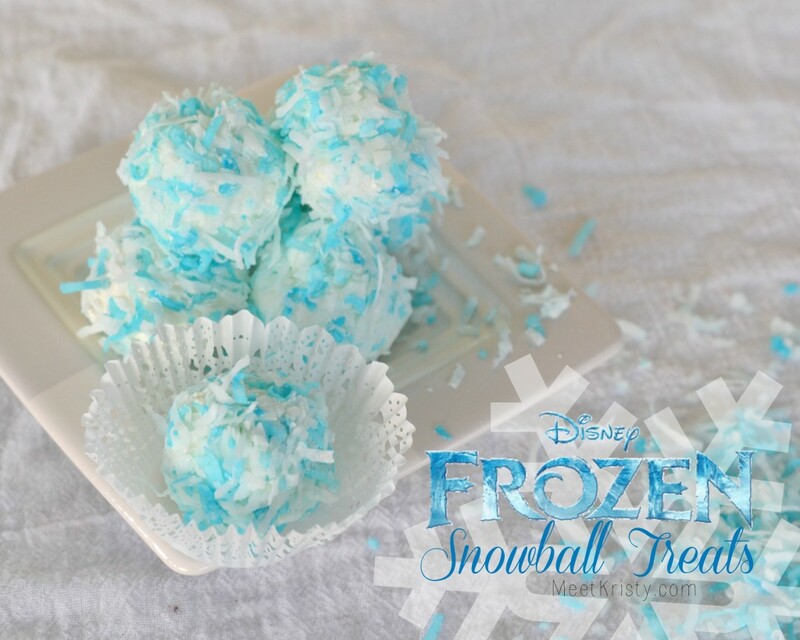 Roll in the colored and plain coconut flakes, freeze for 10 minutes, and serve. Snack mixes come in various forms. 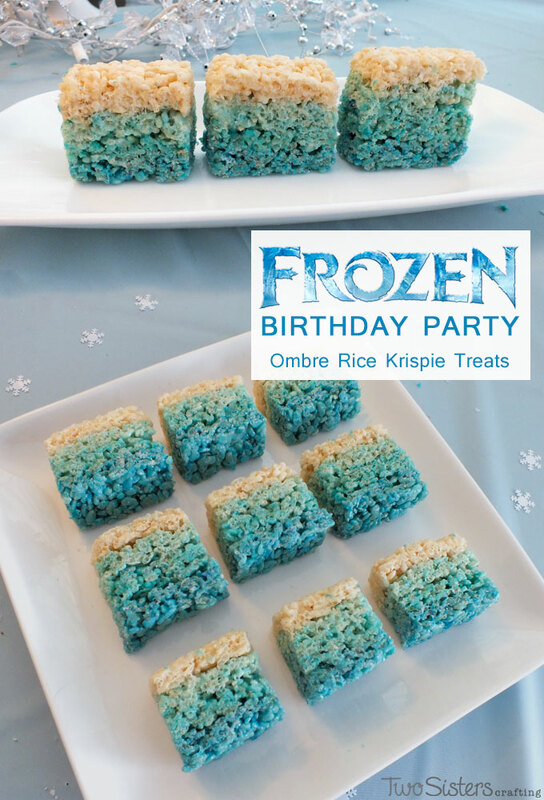 This one is a mixture of seven different snacks that have been put together keeping in mind the Disney frozen party theme. 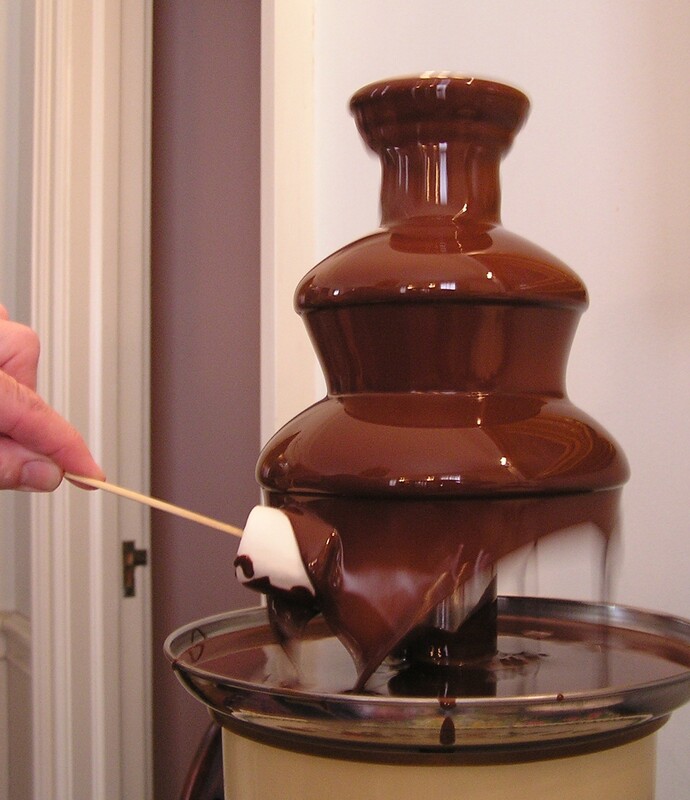 What is a frozen party without a sizzling hot chocolate fondue? Make sure you are keeping loads of nuts, fresh fruits, and cookies as well beside this fondue as this is going to be in much demand. Keep cheese as well as other crackers and snacks that you feel will go well with the fondue. This is a gorgeous cake ideal for your handsome young chap. Look at the reindeer… The poor thing has slipped and fell down. The designer has done a marvelous job by adorning the snowman stare at the fallen deer with utmost trustingly genuine surprising expression… Cute! What do you feel? 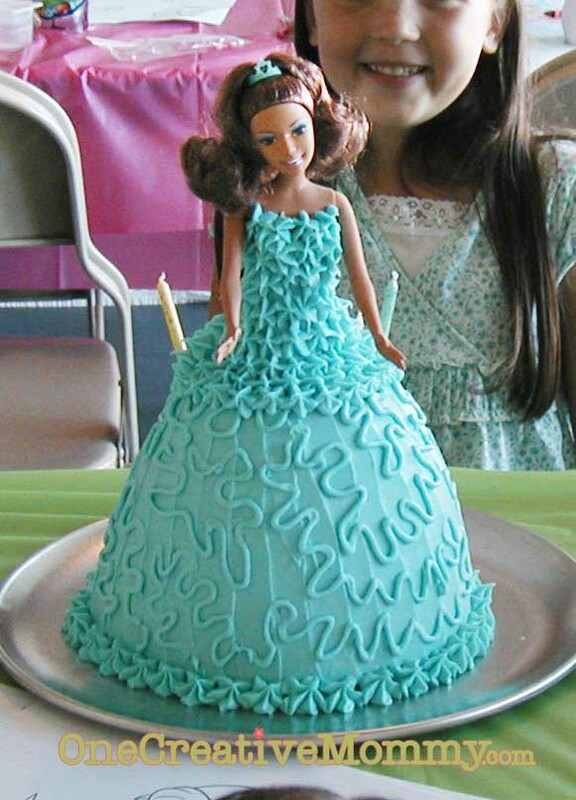 Princess cake for the little, sweet cutie pie who is celebrating her birthday…There are thousands of tutorials on the Internet that will guide you through the step by step process of putting together a Barbie Princess cake. If you are sure you can do it the right way, then go ahead. Or else, call up your favorite baker and ask her to make it for your little darling.